MRS Spring Meeting & Exhibit 2019 April 22-26 in Phoenix, Arizona. 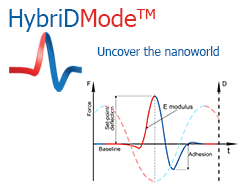 Visit us at Booth 226 where our experts will be happy to introduce our new and unique ScanTronic mode. Bring your samples, ask questions, try out live fully automated AFM and don’t forget to pick up your exclusive souvenirs. We look forward to meeting you at this exciting event! Our lecturer, Dr. Stanislav Leesment will present the latest achievements in SPM instrumentation and methods as well as review numerous examples of its applications to nanoscale studies of smart and functional materials published by leading scientific groups worldwide. Webinar will be held on Wednesday, April the 17th, 8-9 AM PST. Please check your local time zone at the registration page. Laser spectroscopy and atomic force microscopy (AFM) have become irreplaceable tools in many fields of science and technology. 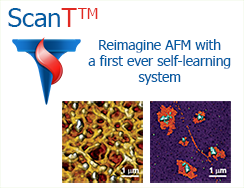 AFM provides electrical, mechanical and other physical properties with nanoscale resolution, but does not give information about chemical specificity. 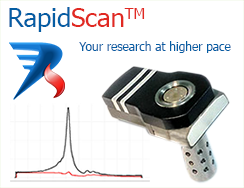 Laser spectroscopy, including Raman spectroscopy, Luminescence and Fluorescence on the contrary, fills this gap, but has a fundamental limitation - the spatial resolution. Integration of both techniques overcomes this gap. In our webinar we will review the latest advances in this area based on recently published papers in high-ranked scientific journals and give the examples of various solutions implemented within legendary NTEGRA SPECTRA system. Please check your local time zone at the registration page.